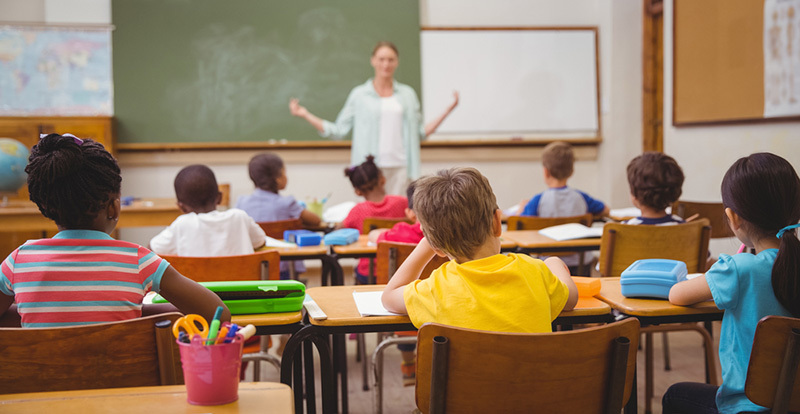 Jamie Deith, a systems designer, extremely knowledge on electoral systems, has created a quiz which leads you through an enlightening questionnaire to help determine what you value in a voting system, and identifies if you lean toward FPTP or PR. If you lean toward PR, this quiz will identify which of the three proportional systems in this referendum most resonates with your values. Be forewarned, you will have to do a simple math equation to prove you are human before you can access the site. This is because the opponents to proportional representation seem to be attacking proponent sites. If you would like to check out sample ballots for the three PR systems in BC’s referendum, check them out here. Check out myths, misconceptions and untruths at this fact checker. This site was hacked twice, shortly after it first went up in June and again in September; check out that article here. One journalist’s take on the New Brunswick election outcome. No deal: Green Party won’t formally side with Liberals or PCs in N.B. Read more. The October 17 Person’s Day lunch celebrates 3 milestones along the journey to equity for Canadian women. We honour the leadership of the Famous Five who fought for this status, winning the battle in 1929. All 16 women running for Mayor, Councillor, or Area Director and the 7 for School Trustee have been invited. Most will attend. Candidates will have opportunity to present, distribute election materials and meet women voters. MP Rachel Blaney and MLA Ronna-Rae Leonard will be represented. There will be at least three women from Greens of North Island-Powell River present at the luncheon. This is a 78-minute documentary focusing on the environmental impact of everything from grocery bags to baby bottles. Screening will be followed by a Q&A with Helen Boyd, Coordinator of the Comox Valley Nurses for Health and Environment. The film is sponsored by North Island College Global Learning Initiative, which aims to foster awareness of global issues. Though this article is from April, it is relevant in the context of the municipal election campaigns underway now. Excerpt: “According to the Capital Region Food and Agricultural Initiatives Roundtable (CR-FAIR), Vancouver Island farmers produced as much as 85 per cent of the Island’s food supply in the 1950’s, while local agricultural production was estimated to supply only 5-10 per cent of the Island’s food supply as of 2004. Food is also imported to the Island in much higher volumes today.” Read more. Read what a BC teen is doing about food waste. Check out the responses here. Part 1: The landslide of last week has resulted in the complete evacuation of Old Fort on October 7. A public meeting of the Peace River Regional District was held on Thanksgiving Day, Monday, October 8, and was broadcast live. According to the live broadcast on October 8, the slide is moving at a rate of 4 metres a day and they can’t yet get any equipment in there. Part 2: As of October 11, the landslide was now just 1 kilometre from Site C. Read more. Part 3: Retired BC Hydro engineer calls for independent safety review of Site C dam Read more. Part 4: Breach of Trust: Indigenous Rights and the Future of the Site C Dam: Sarah Cox (author of “Breaching the Peace”) is coming to NIC Monday night. Part 1: How Alberta is getting away with running deceptive ads on Trans Mountain: Canada has rules to ensure ads are not deceptive. But did you know they don’t apply to government ads that are deemed to be about a “political issue” like Trans Mountain? Read more. Part 2: Elizabeth May talks with Mike de Souza of The National Observer about Energy East and Trans Mountain: Have a listen. Read more and more. In 2017, this article appeared in the Tyee, outlining the reasons for the court case they started planning then and which has just been filed now. Crisis, Passion and Action: The Climate Crisis Needs You! November 7, 4-6:30 pm Indigenous Perspectives Society: Perspectives to Action. “Teara’s Fraser motto is simple: dream it, design it, do it. Fraser, the first Indigenous woman in Canada to own and operate an airline, didn’t become a pilot until she was 30 years old. Now, at the age of 45, she has bought a plane and is launching an airline dedicated to the strength and success of Indigenous women.” Read more. CoPower Green bonds make it possible to invest in a better world. Are there any financial gurus out there to opine on this? Read more. It’s hard to listen to this brief video on the development of conversion therapy over time. Read more. This blog has previously posted about the Kraft pulp mill in Abercrombie, Nova Scotia, and back in December 2017 had a link to a story about pressure to block a book reading and book signing by author Joan Baxter, because her book was critical of the mill. Juliana Facundo has written an article featured in the blog, Mutual Democracy, which is well worth reading. The Abercrombie mill has a 50-year history of environmental negligence in Pictou County and has a plan for an effluent pipe that puts at risk the delicate ecosystem of the Gulf of St. Lawrence. Discharging 70 – 90 million litres of bleached Kraft pulp effluent daily into the Gulf of St. Lawrence will have a significant negative impact on the sensitive spawning, nursery and migratory habitat of lobster, herring, mackerel and many other interdependent species. 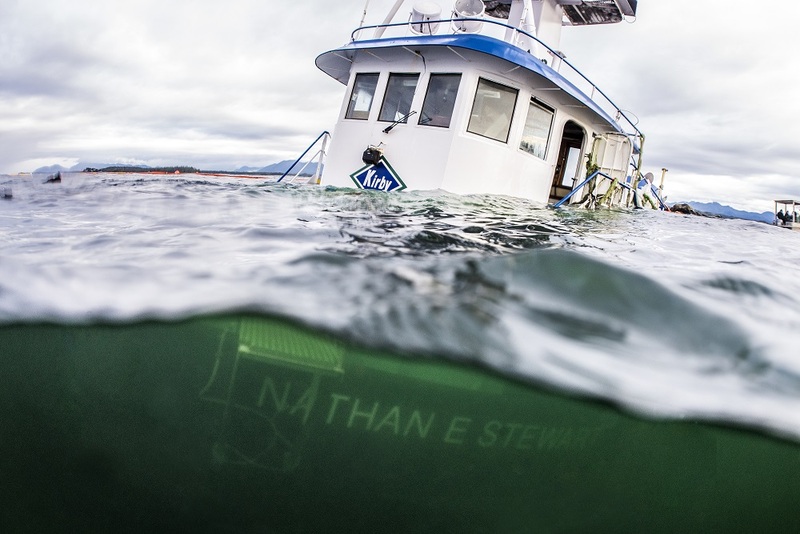 The pipe threatens tourism and fishing industries in Nova Scotia, Prince Edward Island, New Brunswick, Newfoundland and Quebec which support a global food supply and generate billions of dollars in economic activity. Thousands of commercial fishers in the Northumberland Strait and the Southern Gulf of St. Lawrence depend on these sustainable fisheries to support their families, and coastal communities in which they live. 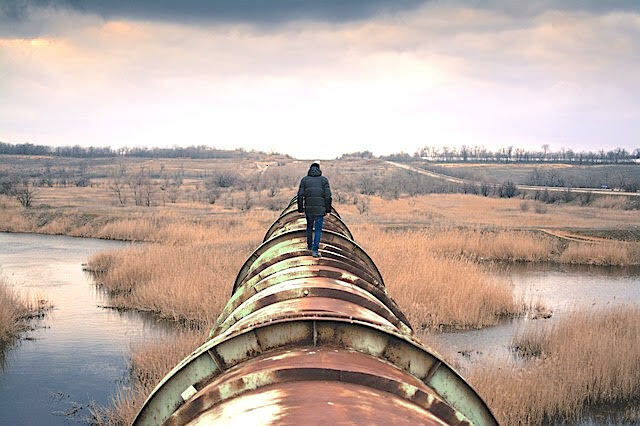 Sign this Federal Parliamentary petition calling for the Government of Canada to authorize a full environmental assessment report under the Canadian Environmental Assessment Agency regarding this proposed pipe. Part 1: While Nestle extracts millions of litres from their land, residents of this Ontario First Nations community have no drinking water Read more. The writer was asked to revise a draft of a history textbook for fourth graders. We all can learn from the lessons she found. A lot of common terms may seem ‘neutral’ but reinforce racism. A teacher’s textbook case. Read more. Part 3: Supreme Court: Federal law-makers have no duty to consult with Indigenous peoples: A majority of Canada’s Supreme Court ruled Thursday that “law-making does not amount to Crown conduct that triggers the deeply entrenched duty to confer with Indigenous Peoples.” This ruling comes in answer to a suit filed by the Mikisew Cree First Nation of Alberta in 2013, who were concerned about changes to environmental and regulatory laws under the Harper government. In response to the court’s decision, Federal Justice Minister Jody Wilson-Raybould opined that while legislation does not trigger the federal government’s duty to consult with FNs, it doesn’t lessen the government’s responsibility to “respect, uphold, and protect” indigenous rights. The ruling highlights the need for FN’s to have seats at the provincial and federal legislative tables as MLAs and MPs in order to adequately develop and shepherd legislation through the legislative process that is in the best interests of all Canadians. Read more. Part 4: Meet the Indigenous cowboys of British Columbia: The documentary, supported by the TELUS STORYHIVE initiative, follows members of the Tsilhqot’in community on a journey intended to reconnect the youth back to their land, stories and traditions. Read more. Part 5: New guide kick-starts reconciliation in the justice system: “It’s been almost three years since the release of the final report of the Truth and Reconciliation Commission (TRC) on the systematic abuse and intergenerational trauma wrought by Indian Residential Schools in Canada. For many, the mandate to take action was too broad. For others, the work of reconciliation was seen as neither their calling nor responsibility. The net effect, in many areas, has been a lack of action or a stall despite an urgent need otherwise. This week, a research team at the University of Regina hopes to change this. Released in partnership with Canada Fetal Alcohol Spectrum Disorder Research Network, the Framework For Action aims to help frontline workers, policymakers and researchers engage with the issues and create action plans for one of the TRC’s Call to Action related to the justice system - #34.” Read more. Part 6: Ottawa, First Nations agree to protect N.W.T. area twice the size of Banff: The Dehcho Bands of Fort Providence, Jean Marie River, Fort Simpson and Wrigley in the Northwest Territories have signed an agreement with the federal government to protect 14,000 square kilometres of forests, wetlands, and lakes, an area twice the size of Banff National Park, which is being constituted as an Indigenous Protected Area. Such an area enjoys many of the same protections from industrial development of all sorts much as a National Wildlife Refuge in Canada. The area is named Edehzhie and the four bands who signed the agreement will monitor activities on the land. The land itself will be administered by a committed that includes federal representatives, but is dominated by the four FN’s communities. Read more. 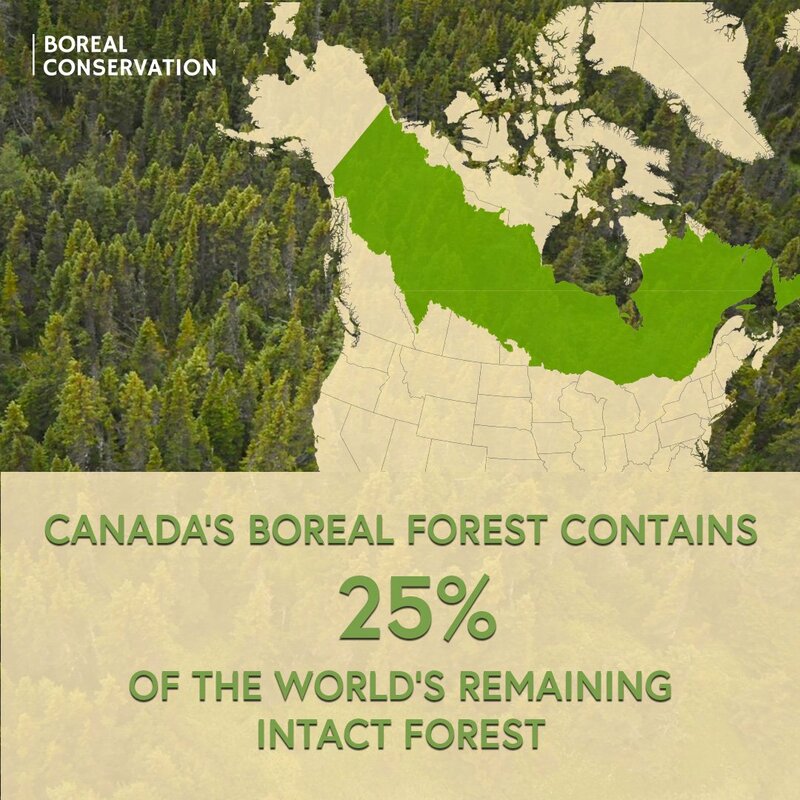 In a world that has lost 80 percent of its original forests, Canada’s Boreal Forest is one of the last strongholds of wild nature left on the planet. Read more. Greenpeace held 5 brand audits across Canada to see who produced the most plastics waste. Take action now. ‘Bar code’ charts illustrate worldwide warming. Read more. Part 1: Nobel Peace Prize awarded to Nadia Murad and Denis Mukwege for campaigns against sexual violence. Read more. Part 2: Nobel Prize in Physics awarded to Donna Strickland, an associate professor at the University of Waterloo (and others). How is it that a winner of a Nobel Prize isn’t a full professor? Well, there is still gender discrimination active everywhere. Read more. Part 3: Nobel Prize in Chemistry awarded to Frances Arnold of the California Institute of Technology (and others). The reason for this award is that Arnold has “developed a method to produce mutations in the genes that produced certain enzymes in order to select the best ones. Different mutations will produce slightly different versions of the enzyme in each cell so, over time, one can select the one which works the best for a specific task. Arnold’s discovery was hugely important – creating a completely new way to design and produce pharmaceuticals and renewable fuels for a greener transport sector.” Of course, time will tell whether this kind of tinkering is a boon or a curse to humankind; nonetheless Arnold’s achievement in winning the Nobel Prize is laudable. Read more. Looks like when we stop funding disastrous projects, there are lots of new technologies waiting in the wings. Read more and more. This is a very long report that came as a result of looking at corporate dominance of governments in the EU. It’s not good news. Read more. The recommendations themselves show how embedded corporate capture of governments has become. Given the policies in Washington these days, I don’t think the Kochs will have to work very hard at this! Read more. “Charlie Kirk is the founder and executive director of Turning Point USA, a youth conservative activist organization with ties to the petrochemical billionaire Koch brothers. Turning Point USA has helped organize opposition to student campaigns pressuring universities to divest from fossil fuels. This week Kirk is in the news for telling pop star Taylor Swift to “stay away from politics” after T. Swift posted on Instagram about a Tennessee Congressional race and urged her followers to register to vote. Read the full profile and browse other individuals and organizations in our research database.” Read more. 2016 Kigali amendment on fluorocarbons could reduce warming by a small but crucial 0.5C. Read more.